Welcome to another week of my life. For those new to the blog, the "Neoscream's Life" posts are basically a weekly dairy of mine. Work was super busy this week due to the school holidays. Does not help going down with a saw throat and a cold for most of the week and a major astma attack on Saturday due to some kind of substance in the air at work that was not due to them. First off DreadBall. 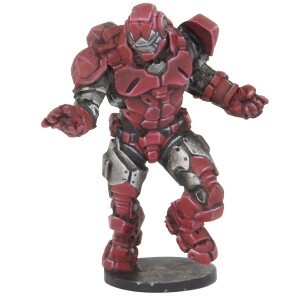 This week has been a DreadBall special on the Mantic blog. They finally revealed the Veer-myn Guard figure, the figures of the first four MVP that are out and the figure for the Season Two MVP Wildcard. Sorry the Enforcer should have been called Iron Man. My Season Ticket arrived in the post with a free Warpath Corps Marine figure and I also have the PDF copy of the DreadBall rules. I have read through all the rules and glanced at all the states and abilities. Cannot wait until the stuff arrives to start playing. I have been busy doing some converting for one of my 7TV teams, the currently name Cyber Cult. I have extended the lower legs of the Mechanithrall Trooper and worked on the head to make it look more like Kane. Also I did some heavy modifications to a Pit Slave to be a later Co-Star for the team. I removed the ponytail and added a baseball cape, t-shirt and wristbands. I let you all to guess to this brightly coloured person will be. I have also glued the three Cephalyx Overlords I picked up at Wargames Workshop MK, last week. They will serve as Hive Masters for my Hive 7TV team that will come at a future date, still have two other new teams to do before them. There was no 7TV game this week due to Richard being and me not feeling well. I do not know if there will be a game next weekend, but there will be none the weekend after due to the UK HeroClix Reunion. Now for a theme that is taking over the Neoscream's Life posts (Oh and some of the DreamClix 7 posts), AJ Lee. This week I will talk about my reactions to the storyline if it was real (which it is not) up to Raw on the 29th of October. I also going to talk about European Tour and my real life reactions and thoughts of AJ, but the first part took too much time to write and is the reason this is being posted late Tuesday night instead of Tuesday morning before going to work. I might do this as a mid week special post or a part of next week's post. Lets time back the clock to the Raw episode on the 22nd of October (as I mainly talked about real life her) and events before that. I will not go it to details of what happened, if you what that go to last week's Neoscream's Life post and watch the video clip. To steel a catchphrase from Chris Jericho, Vickie is a Hypocrite Parasite. She was married to Edge back when she was GM and cheated on him with the Big Show when she was GM. To be honest if the AJ and John Cena were seeing each other romantically, I cannot see the problem with it from past GMs. But this is the problem with the WWE, good GMs like Triple H and AJ get kicked out for stupid things while bad GM like John Laurinaitis and Vickie Guerrero get away with everything. Let's list the mistakes AJ has done, all two/four of them. First was the match with Dolph Ziggler Money in the Bank contract vs Jericho's contract. The only mistake AJ made here was that Dolph Ziggler's Money in the Bank contract was a Smackdown contract, not Raw. Next is slapping ans beatting up Vickie Guerrero. Sadly it is unprofessional for a GM to beat up one of their stars personally unless they get the Board of Directors to agree to a match between them, regardless of how good the show was seeing AJ beat the crap out of Vickie. And lastly slapping Paul Heyman, but is this really a mistake? First off several of the WWE higher ups have slipped him and beat him up (Triple H, Stephanie McMahon and I am sure Vince McMahon has too). And second this was a personal matter. I am guessing that normal the slap to Paul Heyman would had meant nothing, but the Board of Detectors did say they would be fired her if she touches a WWE star again, so they had to punish her some how to be fair and probation was it. AJ beating the crap out of Vickie Guerrero. Now to Raw on Monday the 29th of October. All week Vickie has stated she had solid evidence of the affair between AJ and John Cena and planned on revealing it on Raw. John Cena was in the ring explaining fact from fiction while AJ was in Vickie's office awaiting news on her future in the WWE. Now let's look at is so called evidence. First there was a clip from Raw several week's ago where John Cena asked AJ out on a date. According to John it was a joke which he does it all the time. Second was a picture of them hugging on last week's Raw take out of content. John was a friend giving AJ a shoulder to cry on. The third was a picture of the so call date that was stated to be a business by both AJ and John last week. The last scene was a video of AJ getting into a left with John after last week's Raw. OK, this is the big thing and the way AJ was acting in the video did not match what John was saying happen, but you can never tell with her. According to John, he talked AJ out of going after Vickie and escorted her to her hotel room to prevent her doing something stupid. While in the video she was doing her cute and innocent, but you can never really tell with her. However this happened after AJ was made to resign. To be honest I think/know nothing happen before she resigned, but losing the GM job might bring them together. John Cena is a one of the most honourable, good hearted and truestable person I know of, so I would be happy with that coupling. Well anyway, later on back in Vickie's office after a lot of talking Vickie rehired AJ as a Diva and placed her in a match against Beth Phoenix. It was not her best fight most likely due to ring rust and shock due to the events of the last two week, but she did win the match by pitting Beth out of the blue. Vickie came out, Beth attacked AJ from behind and there Vickie told the ref to restart the match. Due to the blind sided attack, AJ lost the match. To top that off back stage Vickie fired Beth for losing to AJ in the first place. Signs of unfair management. More at a later date. Watched: Episode 10 of season nine of New Tricks (last of the current season). 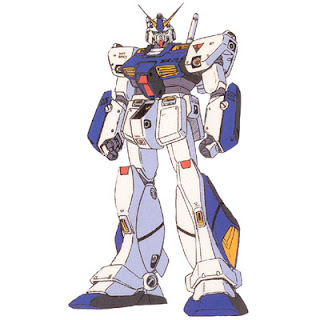 Listened: Episode 339 of Anime Pulse. Watched: A little bit of episode 1014 of WWE Raw. Watched: Episode 11 of season two of Iron Man Armoured Adventures. 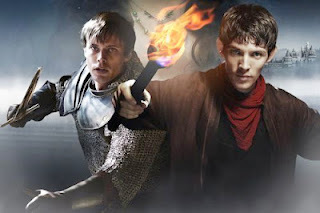 Watched: Episode 4 of season five of Merlin and the rest of episode 1014 of WWE Raw. Watched: Episode 5 of season five of Merlin and 689 of WWE Smackdown. Brought and Received: Ordered WWE 13 and brought a ton of Christmas gifts. Lastly this last week's Cosplay Deviants sets. On Wednesday there was a new set from a deviant called Squee. 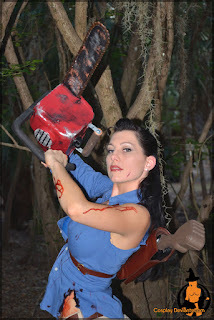 The set is called Malicious Corpses and in it she cosplays as a female version of Ash Williams from Evil Dead. The set on Saturday was a new set from the deviant StarPixie. 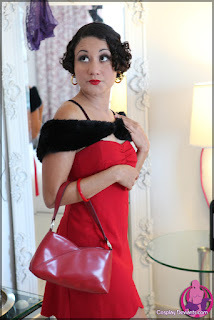 The set is called Any Rag and in it she cosplayed as Betty Boop. Now for a DreamClix bonus Cosplay Card of the Deviant Squee as her set on Wednesday was her third set. The character equipped with her card should gain the Cosplay keyword and the Cosplay Deviant team ability. The special this card should give should be "This character gains a +1 to their Damage value if there attack value is 11 or less, else they gain Probability Control." The card's half cost list should be: Ash Williams, Shimei Ryomou, The Baroness and Anastasia Cisarovna. Well that is it for now. Until next time, Mecha Up.